It is with a heavy heart and deep sadness that CH. Blossomhil's Ain't Misbehavin aka Scarlet passed away December 6th, 2016. 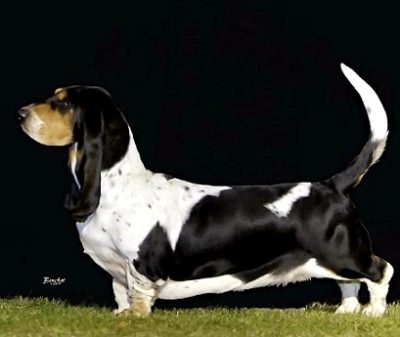 She was the true ambassador of a Basset temperament and there was not a dog or human she did not love. She will be missed terribly not only by her human family but by her sisters and all of her nieces and nephews who loved her to pieces. She and Sweetpea were inseparable, and loved to play and just lay by one another. I cannot imagine one day not being awakened by her melodious bay. We miss you and love you my dear dear Scarlet. You will be greeted with loving arms by your mom Blossom and your brother Henry and by your biggest fan my mom. Say hello to everyone.